Gmail is known for launching a plethora of nifty little features through Labs that make the email platform more attractive and easy to use. 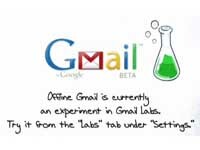 Yesterday, Google announced that six features will be graduating from Labs and will become regular features of Gmail. And Google will also be retiring five features. The decisions were made based on usage and user feedback. Here are the graduating and retiring features: Graduating: 1. Search Autocomplete: Auto suggests terms, keywords, contact names and labels within the Gmail search box. 2. Go To Label: Allows for labels to pop-up without having to click on labels. 3. Forgotten Attachment Detector: Prevents sending an email without the appropriate attachments; will alert if you mention attaching a file but forget to do so. 4. YouTube Previews: Lets you watch Youtube previews and videos from within your emails. 5. Custom Label Colors: Allows you to create your own custom color combinations for labels. 6. Vacation Dates: Lets you specify which dates you'll be away on vacation in advance. Retiring: 1. Muzzle: Hides friends shat status messages. 2. Fixed Width Font: Allows you to view messages in a fixed width font. 3. Email Addict: Shuts down your Gmail for 15 minutes, forcing users to take a break from email. 4. Location in Signature: Allows you to choose to include your location in your signature, using geographical data associated with your public IP address. 5. Random Signature: Rotates among random quotes for your signature.